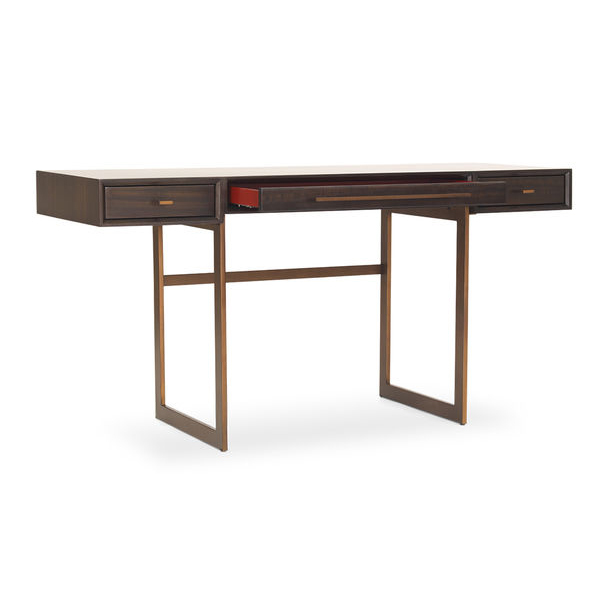 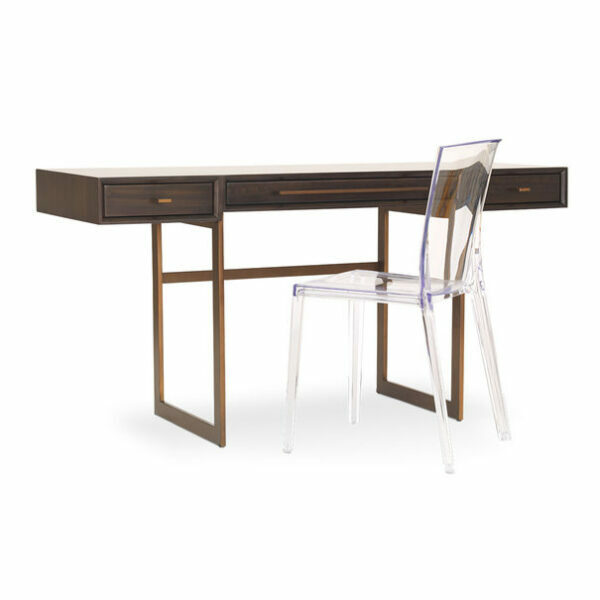 The long, lean Allure desk brings modern style and an expansive surface space to a home office or a bedroom, where it can also work as a vanity. 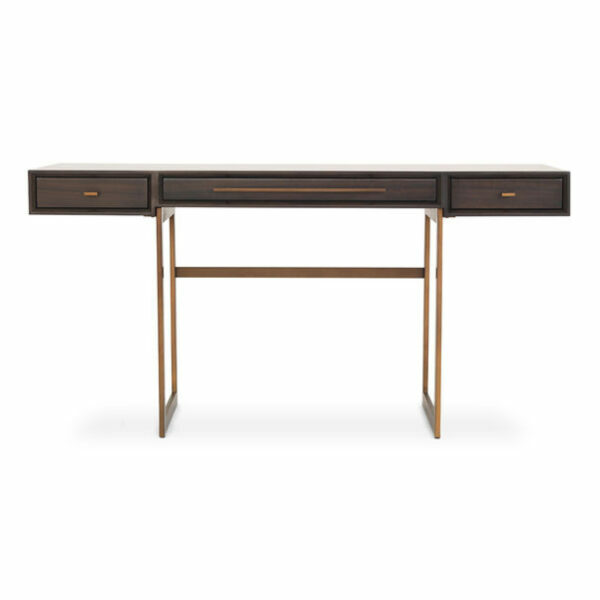 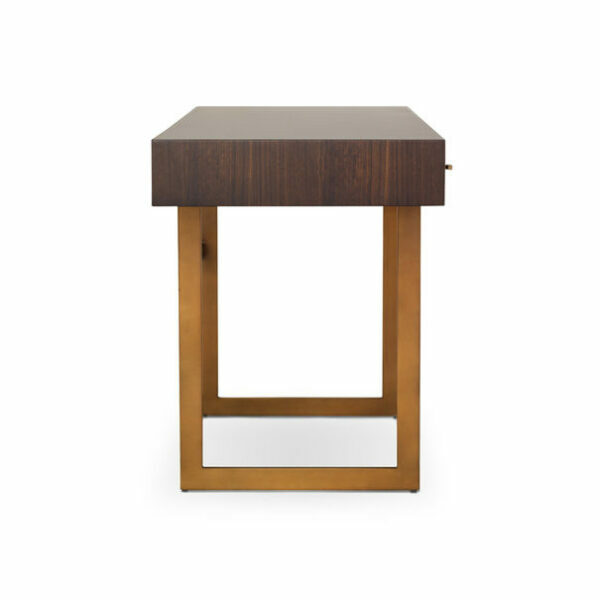 Beautifully figured smoked eucalyptus veneers pair with a sleek satin brass base and drawer pulls. Two side drawers flank a longer middle drawer, providing storage for supplies. The drawers feature our signature red lacquer interiors, a luxurious touch against the rich dark wood.